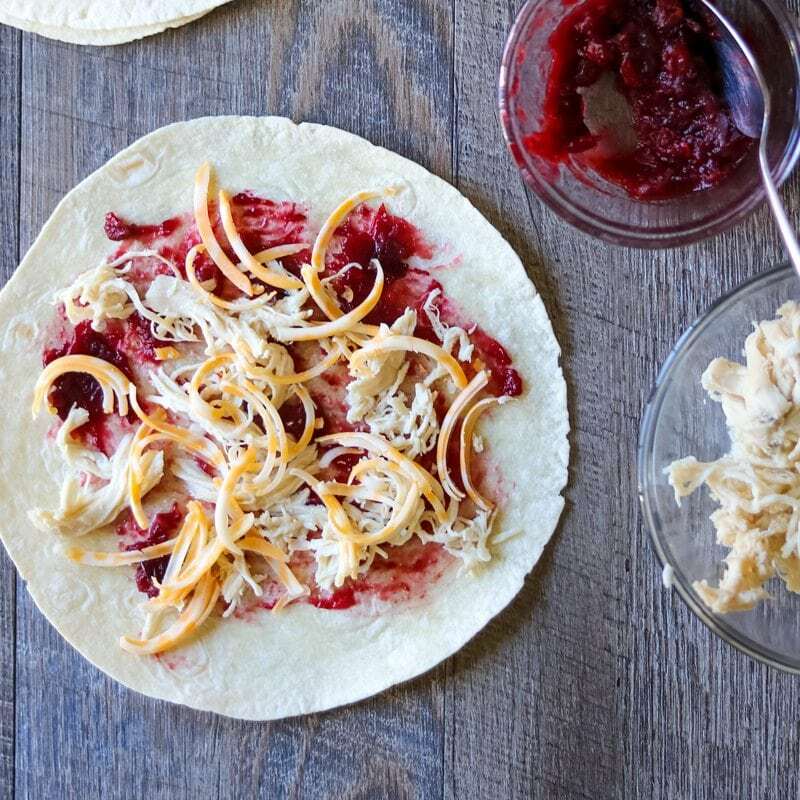 Leftover Thanksgiving Turkey Quesadilla: Leftover turkey and cranberry sauce are paired with sharp cheese in a quick and easy quesadilla. I am a HUGE fan of Thanksgiving leftovers. 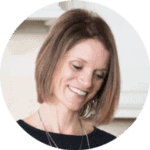 I purposely plan my menu to ensure that I will have plenty of leftovers– that means an extra large Turkey, extra cranberry sauce, extra mashed potatoes, and of course extra sweet potato casserole. And while I love to just pile my plate high with the same fixings I had on Thanksgiving after a long day shopping or putting up my Christmas decorations, I really love to create new dishes with what I have leftover–like Cranberry BBQ Turkey Pizza or Southwestern Turkey Soup. 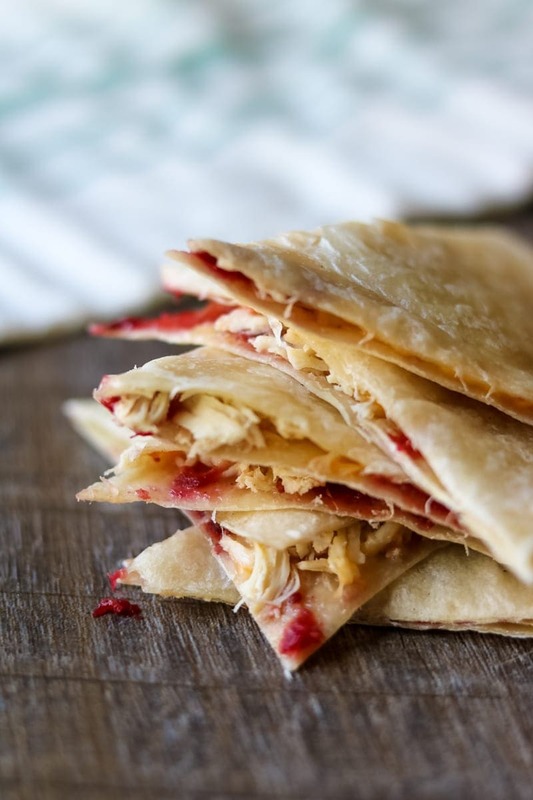 Or this beautiful little Turkey and Cranberry Quesadilla that is made in just as much time as slapping some food on a plate and reheating–and so much more creative! Because it is so easy, you can be out shopping all day or night and still have the energy to whip this easy turkey quesadilla up. It is so good it may just energize you to go out shopping for another round–or give you the strength to put up your Christmas decorations. Somehow, I typically manage to do both. I don’t do any crazy marathon shopping, but I do tend to sneak out early in the morning to snag a few deals and then come home to kiddos begging to get the tree up ASAP. And that is something I do, not my husband. We want the lights to look pretty and evenly scattered on the tree–if we left if up to him, well, he would literally throw one strand of lights on the tree and call it a day. He is a Scrooge when it comes to the tree. So I do the tree and I do the lunch–again, scary if we left it up to my husband. He is a talented man, but cooking and decorating are definitely NOT his strengths. I am telling you all this to say come Friday afternoon, I have been going hard for nearly 48 hours with Thanksgiving and shopping and decorating. I am WHIPPED. The players: leftover turkey, leftover cranberry sauce, cheese from the appetizer plate , Dijon mustard, and a whole wheat tortilla. Smear a bit of mustard on the tortilla, slap on a bit of cranberry sauce, throw a small handful of roasted turkey, and as much or as little cheese as you desire. Fold it up, and heat slowly over medium heat in a skillet until the cheese is melted. Devour. Then crash on the couch and fall fast asleep. That is what I will be doing. If you need this to be gluten-free, use a gluten-free tortilla. I personally love to use sharp cheddar or smoked gouda, but white cheddar, colby, or even mozzarella cheese will work in this Turkey and Cheese Quesadilla. 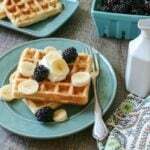 Omit the Dijon mustard for a more mild flavor or to make more kid friendly! Don’t just make this after Thanksgiving, you can use this with leftover chicken as well. I use my leftover cranberry sauce, but any cranberry sauce will work. Spread two tortillas with cranberry sauce. Top with turkey and cheese. Spread the remaining two quesadillas with Dijon and place on top of tortillas. Heat on a dry skillet for 1-2 minutes or in the microwave for 1-2 minutes. Cut into 8 wedges. 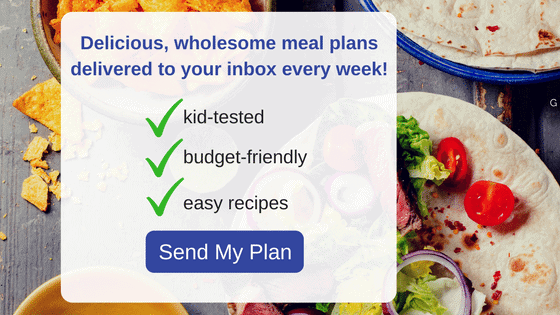 And if you have a lot of leftovers, like I do, be sure to try Low-Carb Green Chile Turkey Quesadilla or Gluten-Free Bacon Ranch Turkey Quesadilla from my blogger friends. What a great use for Thanksgiving leftovers! Leftovers are the best part of the day in my opinion–as long as you use them to their maximum potential. This quesadilla does just that! This is such a great idea! I have tortillas at home so I’m totally doing a version of this! Thanks for the shout-out! 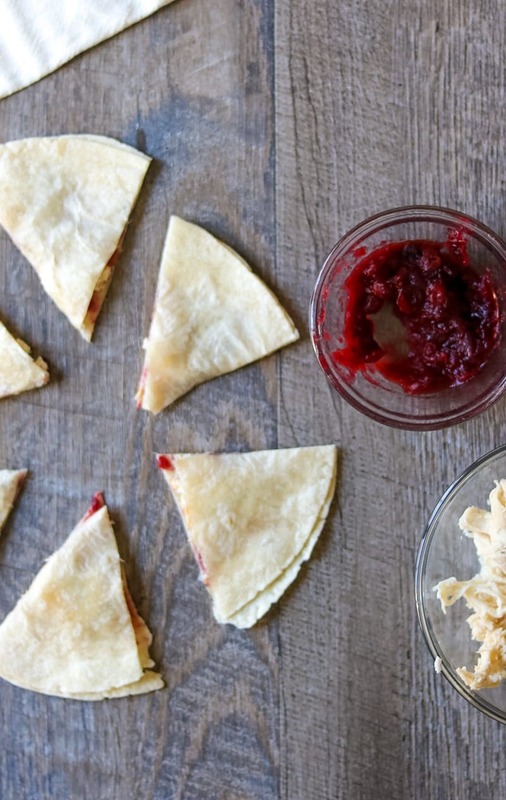 I love the idea of quesadillas with some cranberry sauce tucked in there! You bet Kalyn! It adds so much!